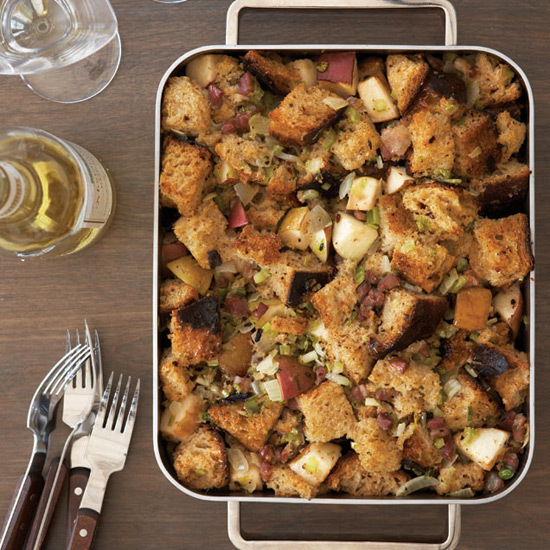 The stuffing can be assembled and refrigerated overnight. Bring to room temperature before baking. Ground cooked country ham is available from Meacham Country Hams, 800-552-3190. The prosciutto can be finely ground in a food processor.